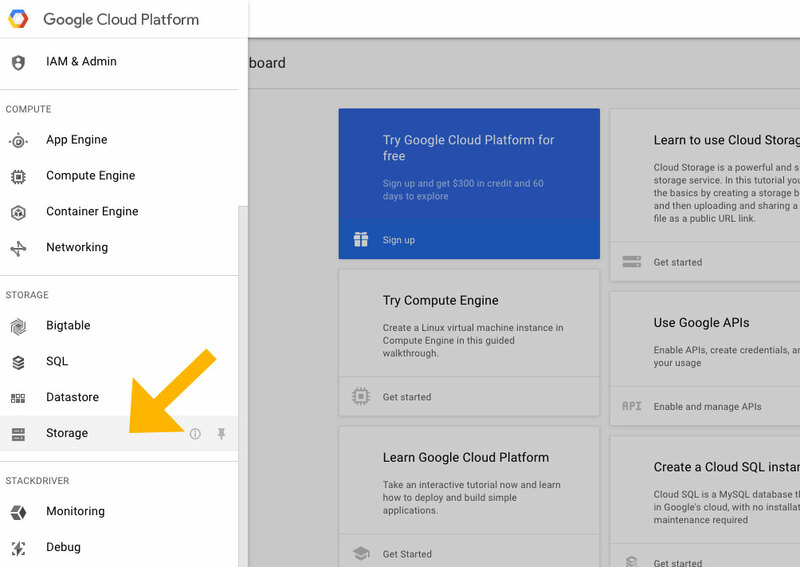 Welcome to WholesaleBackup’s guide to getting started hosting online backups with Google’s Interoperable Cloud Storage. 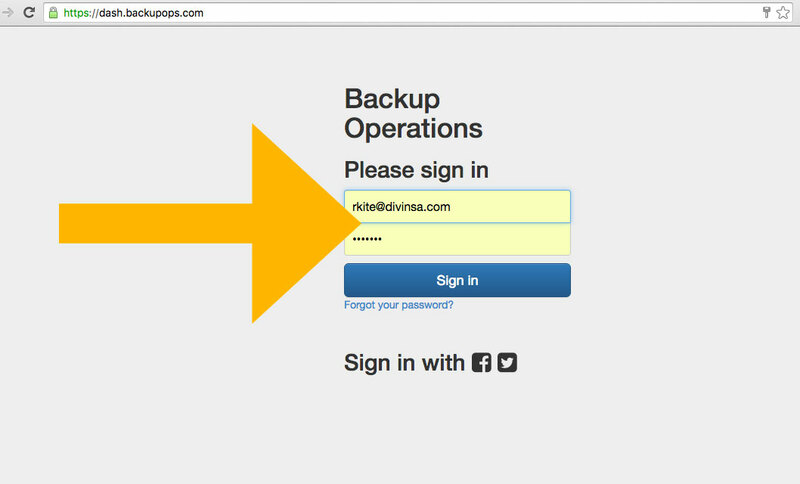 Our goal is to make the setup and deployment process as quick and easy as possible. If you find anything in this guide unclear, please send your questions, comments, and feedback to ‘support@wholesalebackup.com’ and we will revise the guide accordingly. Ok! Let’s get started! 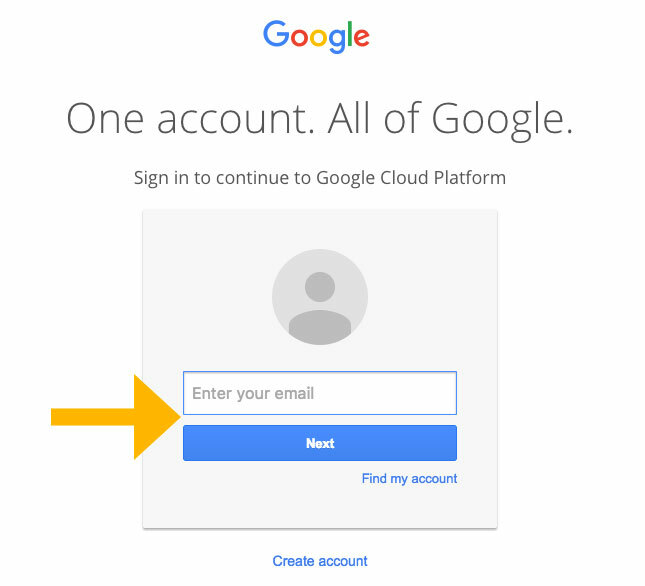 Sign up for an Google Cloud Platform account . 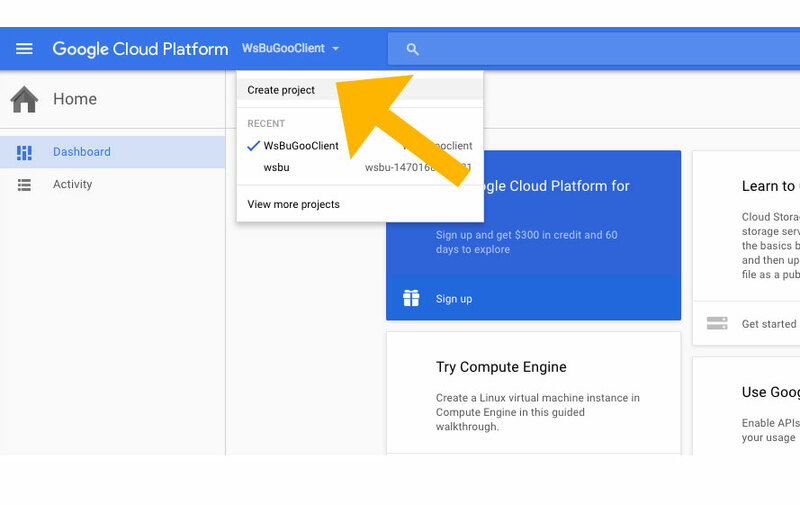 Next Setup your Free Trial & Billing with Google Cloud Platform: https://console.cloud.google.com/billing, this step is needed to generate an active cloud storage location. In the left sidebar of the Storage page click ‘Settings’. 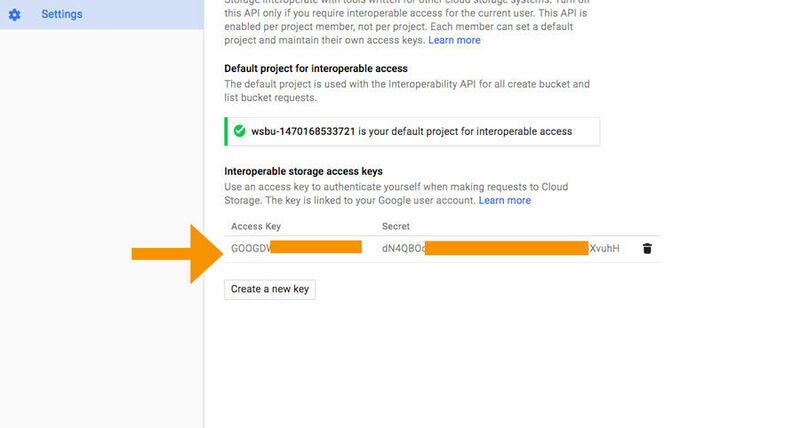 Next click on the ‘INTEROPERABILITY‘ link along the top, click on the ‘Enable interoperability access‘ and click to ‘Create a new key’. 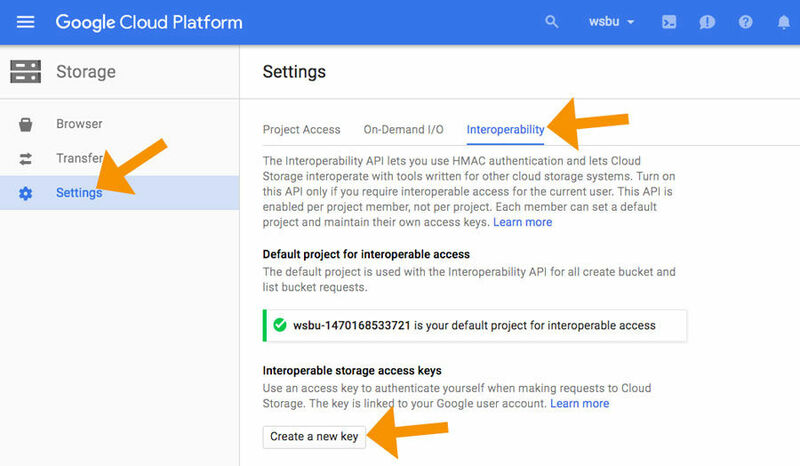 Your project is now the default for ‘interoperable access’. Copy and keep safe and secure the ACCESS KEY and SECRET key (the latter is like a password). 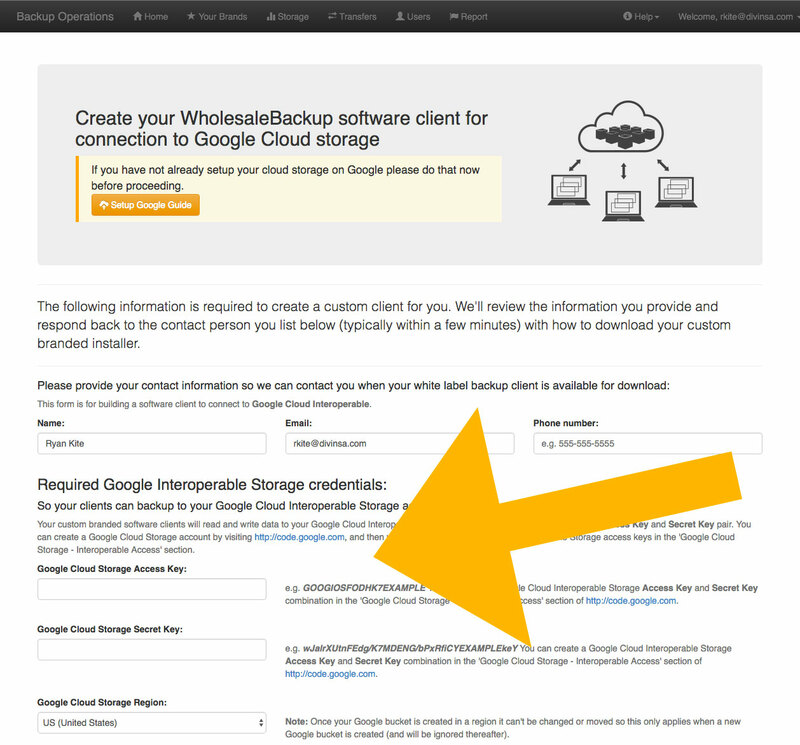 you will use them to build a custom branded WholesaleBackup client which backs up to your Google Cloud Storage.